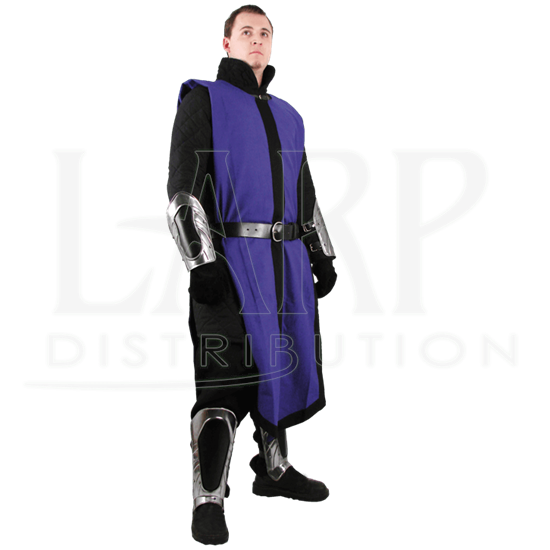 Prepare for the LARP role you have been waiting for, and rid the ConQuest world of imperfections. Array yourself in the colors of the remorseless, yet efficient Black Ice infantry with the Black Ice Tabbard to set off your armour. 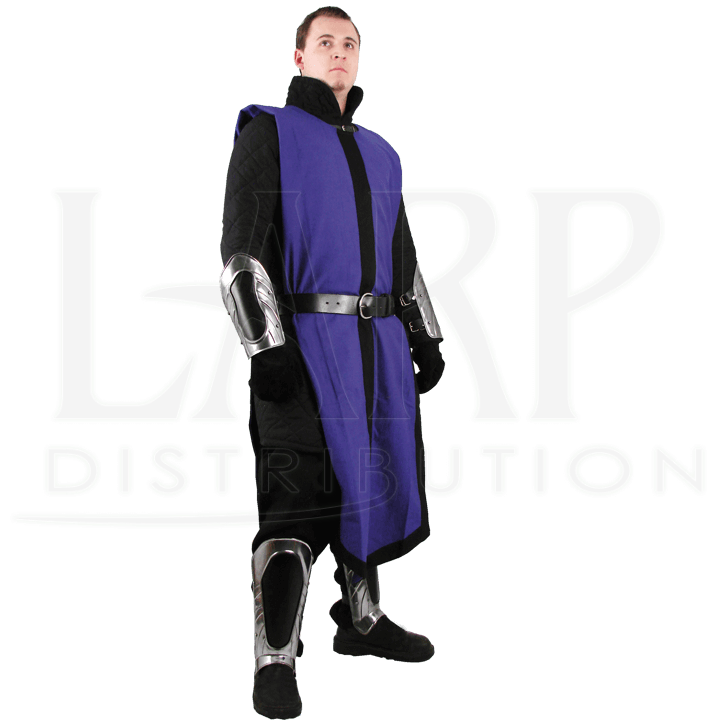 This violet-blue surcoat is fashioned from medium cotton. Black trim lines the center and the open sides. 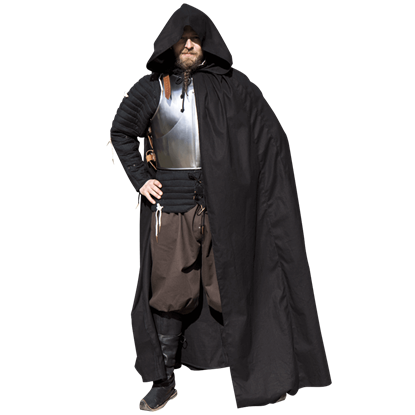 The tabard is sleeveless and fits easily over a gambeson. While the Black Ice Tabbard goes great with a wide variety of medieval looks and styles, it is a perfect match for our Black Ice armour pieces. 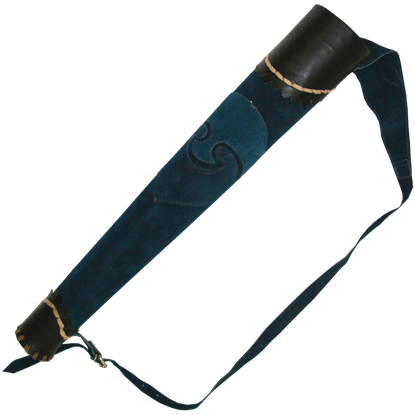 If you wish to be decked out like the Rakh soldier that is pictured, add the Black Ice Arm Bracer and Greave Set to your LARP battle attire. An eerie sight during the height of the Black Plague, the plague doctor or beak doctor would treat his patients in a striking bird-like mask. 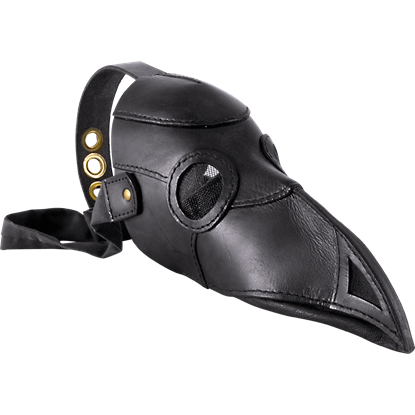 The Leather Plague Doctor Mask allows you to dress like this iconic medieval doctor. 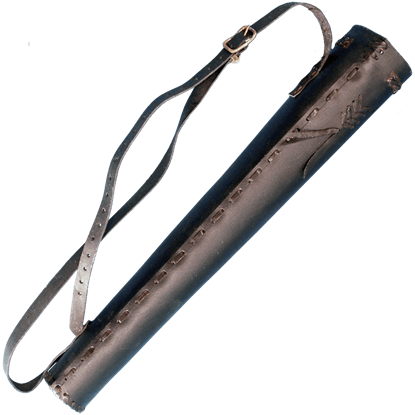 Do not let the frigid air of the changing seasons keep you from patrolling the borders of the woodland. No mortal shall set foot upon this sacred realm. 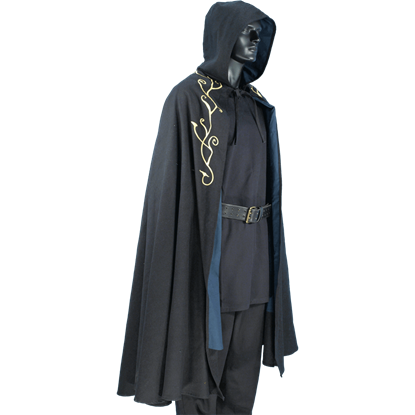 While wearing the Elven Hooded Cloak you will make sure this oath holds true.